Living with addiction is extraordinarily hard – as a tragically large number of people in the London Borough of Merton, and South London generally, can testify. The country’s addiction crisis is growing worse year on year, and none of the capital’s boroughs is immune. If you are struggling with addiction (whether to alcohol, an illegal drug (or drugs), prescription medicine, or a combination of these) the temptation to give up hope of a better life can be overwhelming – but you must resist it: help is out there if you are prepared to reach out for it, in the form of a host of high-quality treatment facilities which are saving lives every day. Rehab centres in Merton will help you understand your illness and teach you coping skills to deal with urges and cravings. Private rehab facilities offer a therapeutic environment that is comfortable, safe and secure. You’ll be surrounded by care professionals and recovering addicts, who offer support and strength. In general, the NHS provides a high standard of care, including in its treatment of addiction. Unfortunately, however, demand is growing (especially in very densely populated areas such as Merton) and resources are being stretched to breaking point: waiting times are often distressingly long, and time never ceases to be a factor when dealing with addiction because of the constant risk that the addict will suffer a fatal overdose or fall victim to accident or an act of violence in which substance abuse plays a key role. It’s important to recognise that it is almost impossible to treat somebody for an addiction who is not willing to be treated; if someone you love is struggling with an addiction, and you are conscious that for the aforementioned reasons time is a factor, you may despair that they are not showing themselves ready to own up to their addiction and ask for help. Personalised, comprehensive treatment: No two people receive the same treatment plan, as everyone experiences addiction differently. Your unique plan is devised during the intake process to ensure treatment is successful. This begins with a comprehensive assessment, including a psychological evaluation, medical exam and an interview with a drug counsellor to gather relevant personal information. A wider range of therapies: There is access to multiple therapies in private rehab centres, including as acupuncture, Cognitive Behavioural Therapy, meditation, yoga, art therapy, mindfulness, Nutrition Therapy, and animal therapy, amongst others. Serene environment: Typically, the surroundings of a private rehab centre are peaceful and serene. Most facilities are to be found in suburban locations to ensure the privacy of patients. There are no distractions or temptations that might derail your recovery journey, as is the case with outpatient treatment. They provide gardens for long walks and relaxation, which are therapeutic for patients. 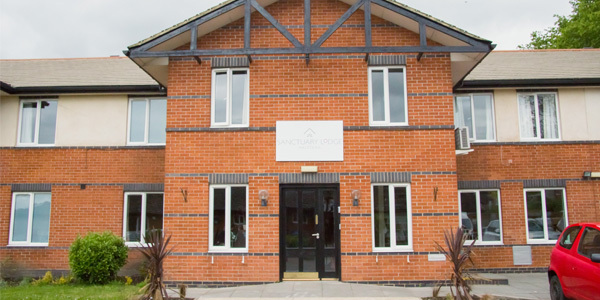 Nationwide acceptance: Government funded rehab centres are usually restricted to a specific borough or council catchment area and are also limited in the care they provide. Meanwhile, private rehab centres in Merton offer nationwide acceptance to anyone who can afford treatment. How Much Does Rehab Cost in Merton? The cost of private rehab will vary from one facility to another depending on the nature of the treatment programs offered and of the standard of the facility in question (for example, luxury rehabs can logically be expected to cost more). Roughly speaking, standard costs in or near Merton range from £5,500 to £11,000 per month, although the cheapest treatment may be obtained for as little as £834 per week. For more specifics, call to speak with one of our addiction advisers. 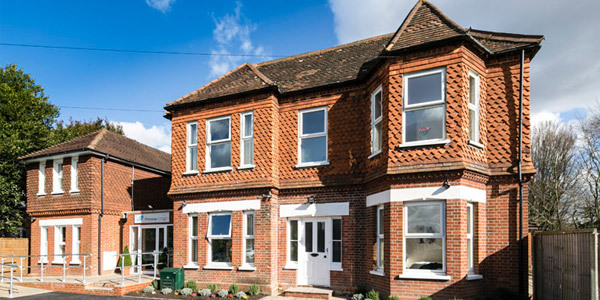 If you feel that private rehab is currently not an option for you for reasons of cost, or if you do not feel that you are able to spend the required time away from family and/or work obligations, do not despair: various NHS and charity resources can be found in Merton and across South London which can help you combat your addiction. Consult your GP about which of these resources may be available to you and would be most appropriate for your specific situation. One obvious advantage of NHS treatment is cost-related: NHS services are free at the point of use. Another benefit is geographical accessibility: the NHS operates throughout the country, while some rehabs may be a long way away. A further advantage is service quality: NHS addiction treatment services are typically very good. However, it should be borne in mind that quality does vary from one NHS trust to another, and waiting times can be excessive. Some recovering addicts – in particular those with very busy schedules – find that individual private counselling is an extremely useful treatment model. Private addiction counsellors work like regular psychotherapists – though with a clear emphasis on tackling the causes and consequences of substance abuse and addiction – offering private appointments (one-off, irregular, or on a regular basis – usually weekly) and typically charging a fee per appointment. You can find private addiction counsellors across the country, with many at work in the capital; a great variety of different therapy models and approaches to treatment are available. Counsellors are usually available only during set working hours, although some do make themselves available for emergency access. This type of counselling is often sought by recovering addicts who have already been through a programme of treatment such as may be provided in rehab and who desire supplementary support during the next phase of the recovery; on the other hand, it is also the preferred option for many addicts who have not yet been to rehab but are preparing to do so and who want help in managing their addictions prior to engaging in a full residential treatment programme. St Lawrence Church is the Church of England parish church for Morden in the London Borough of Merton. The historic parish of Merton is now known as South Wimbledon. King’s College School is an independent school located in Wimbledon. Merton was historically a part of Surrey. In 1965 it was merged with the Municipal Borough of Mitcham, the Municipal Borough of Wimbledon and the Merton and Morden Urban District. The Baitul Futuh mosque was built in Morden in 2003. It can accommodate 10,000 people and cost £5.5 million to build. The borough of Merton is found in south-west London. Its neighbouring areas are Wandsworth, Lambeth, Croydon, Sutton, and Kingston upon Thames, and it has 20 wards. The Merton wards are Abbey, Cannon Hill, Colliers Wood, Cricket Green, Dundonald, Figge’s Marsh, Graveney, Hillside, Lavender Fields, Longthornton, Lower Morden, Merton Park, Pollards Hill, Ravensbury, Raynes Park, St Helier, Trinity, Wimbledon Park, and Village. If you have to drive around the borough, keep in mind that there are a number of useful large roads to use for quicker access including the A24, passing through the middle of the borough from top to bottom. At the same time, if you consider using public transportation, the local stations are serviced by London Underground (Colliers Wood, Wimbledon Park, Morden, etc. ), National Rail (Tooting, St Helier, Raynes Park, South Merton, etc. ), and the Tramlink (Wimbledon, Mitcham, Merton Park, etc.). There are multiple opportunities for your relaxing rehab-focused outings. They may be part of the holistic therapies some rehabs in the area provide. Found in the borough are the famous Wimbledon Park, Ravensbury Park, and Morden Hall Park. For those travelling by train, go from Merton to London Waterloo East and walk across to London Waterloo for national rail services direct to Worplesdon.